New permanent satellite frequencies for services affected by the removal of broadcasts from Eutelsat 28A have been activated. Temporary frequencies currently in use by Sky and Freesat will be switched off next week. 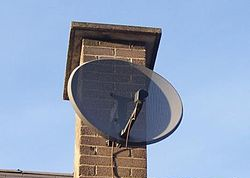 Most Sky and Freesat viewers should not need to take action, but viewers who have manually tuned in affected services will need to ensure that their satellite receiver is retuned to the new frequencies. Absolute Radio and its sister stations alongside some UK local TV channels (available via Sky boxes only) are affected by the move; listeners who have the stations manually added to their satellite systems need to be aware of the latest changes. For an updated, at-a-glance listing of changes, please click here.